There aren’t enough wet ingredients for this recipe. Some things that could have caused the recipe to be too dry. The onions and peppers could have not been chopped fine enough. You can even finely grate them and that will help. You want to keep the moisture you grate out of them. Your lentils weren’t cooked enough and were dried out. If you try this again, try those things first and if those fail and it’s too dry add a tiny bit of water. You, sir, are brilliant! 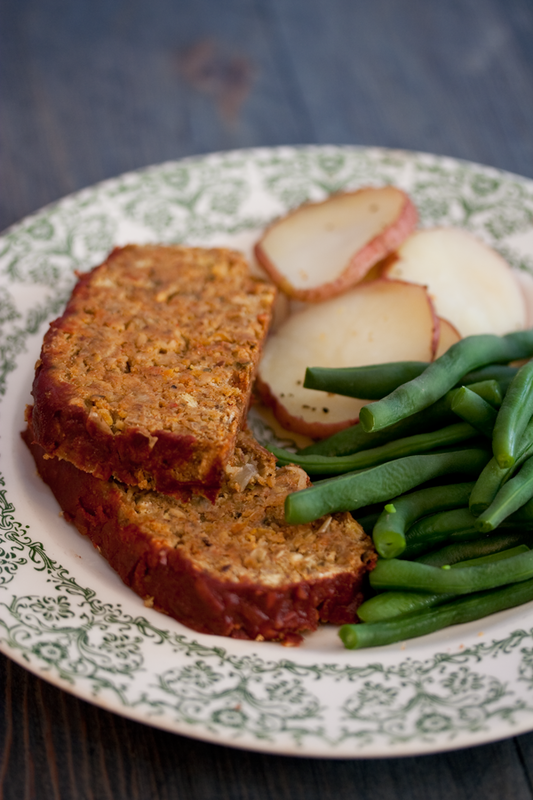 I made this lentil loaf recipe today, and the mix acted like meatloaf, the house smelled like meatloaf while it was baking, and I gave a cold slice to my partner tonight and he was impressed because it tasted like meatloaf. He did not know it was a lentil loaf until I told him. What I love most about your recipe is that I was able to keep the foundational elements and changed some spices and other things to my taste. For example, I wasn’t wanting nooch, so I subbed with porcini powder. I also read your comment below and adjusted moisture so the loaf would not be dry. It is perfect! I’ll be trying some other recipes here–thank you for sharing! I made this for the second time tonight, and my husband and I both loved it. I diced all the veg really tiny, but it was still on the dry side. I added 3 tbsp of veggie stock. Totally perfect after that! Hi Shawn– I thought the same thing as well. It requires a LOT of kneading in the bowl but eventually it forms does mix together. You can also try to add a little water as Josh mentioned.